These cards are one of my favorite crafts we've ever shared! They are so beautiful and so super simple to make. While we made these as more of an adult craft, you can definitely put the kids to work either just painting or designing with the China Marker and then painting. The white design is made using a China marker or grease pencil. 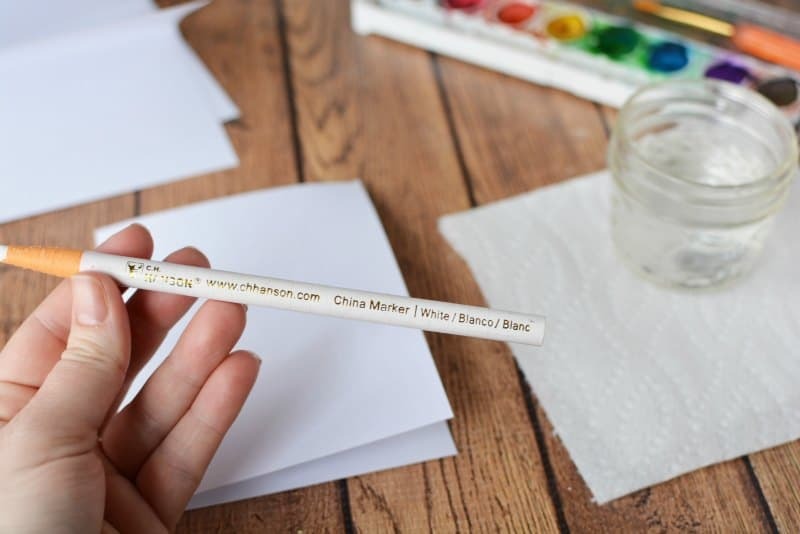 I'd never even heard of a China marker until this idea came along. But they are so cool! And the crafting possibilities are just endless. 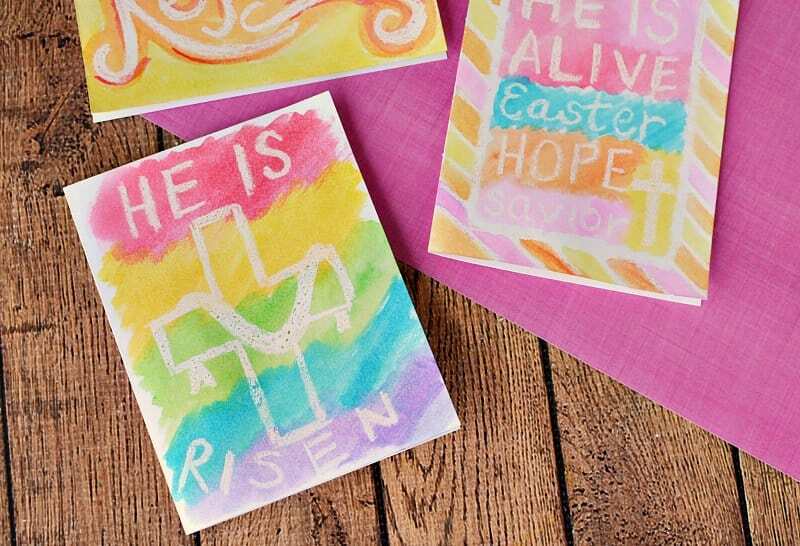 We made our cards with religious sayings for Easter, but you could do Mother's day or spring. 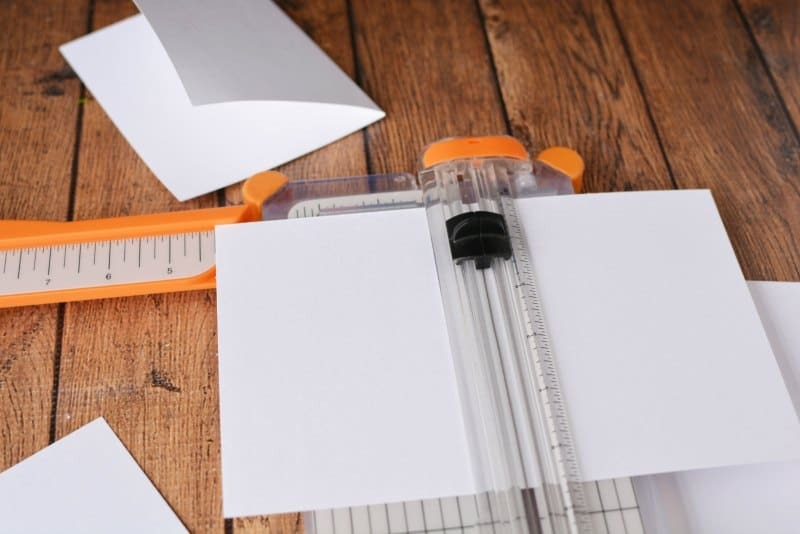 Cut an 8.5 x 11 sheet of card stock in half at the 5.5″ mark so it measures 8.5″ x 5.5″ using the paper trimmer and cutting blade. Using the scoring blade, score each small piece at 4.25″ and fold to make a card. 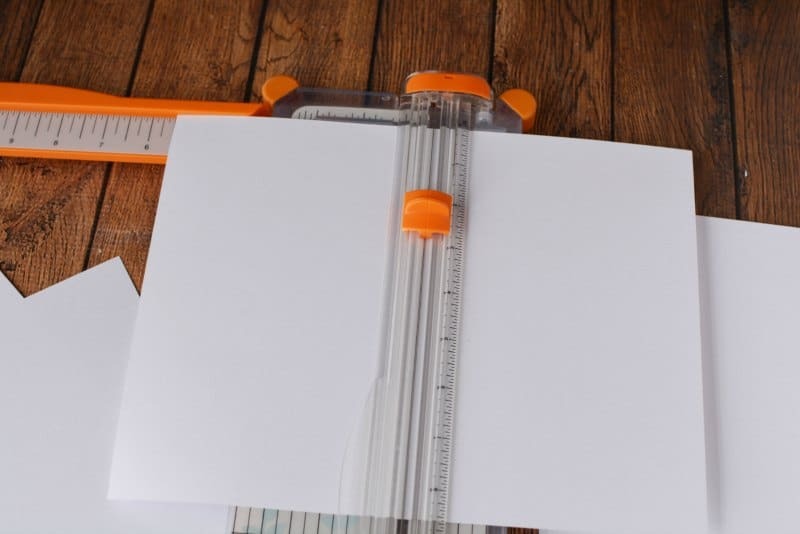 You can also do this using a ruler! Use the grease pencil to draw images onto the front of the card. It works best when you went over the area a few times to build up and add layers of white. 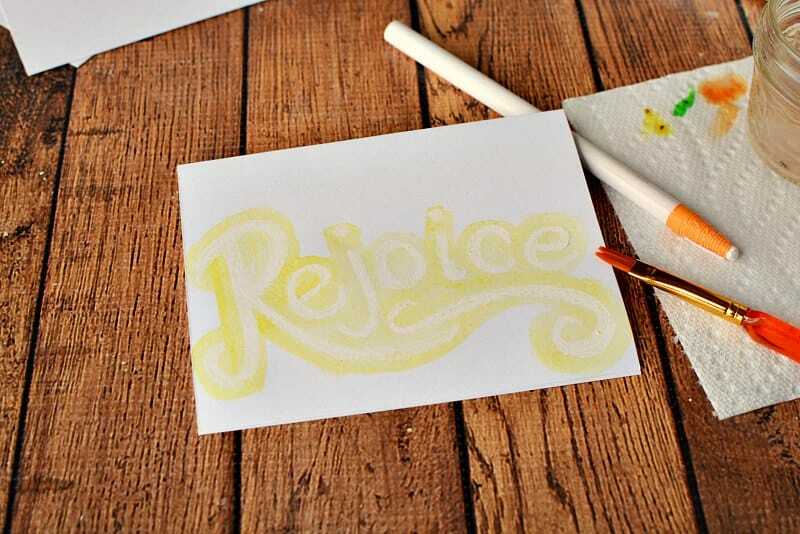 You'll also want to make the text a little bolder than just a single line as it will show up better after painting. 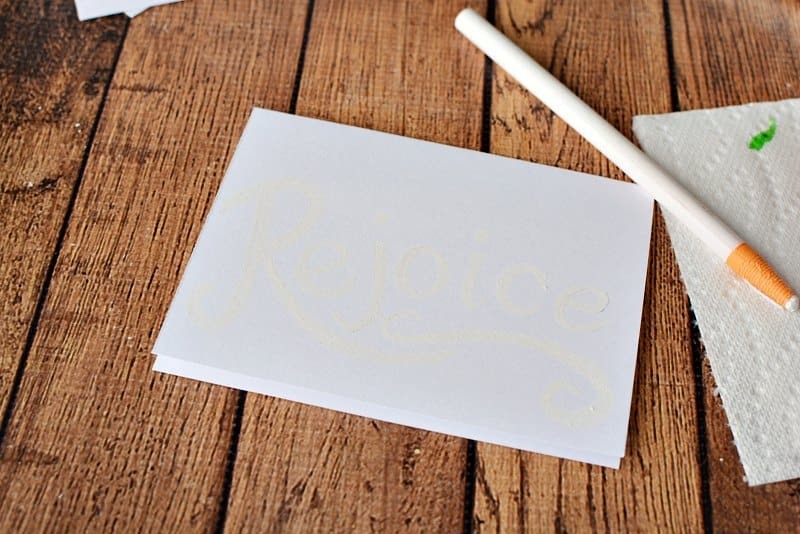 You can see the word “Rejoice” on the card above written with the China Marker. I do not recommend trying to get fine details on the cards. A grease pencil is a bit of a fat, waxy crayon so it's not easy to get a fine detail when drawing with it. The artwork would look great on a full sheet of paper, then framed. Gently wipe away any excess grease pencil “chunks” with your hand. 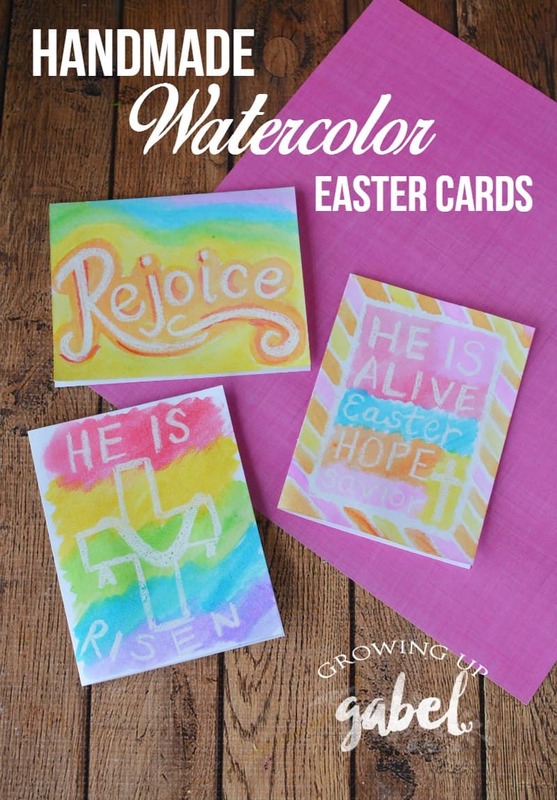 Add watercolors to your cards. 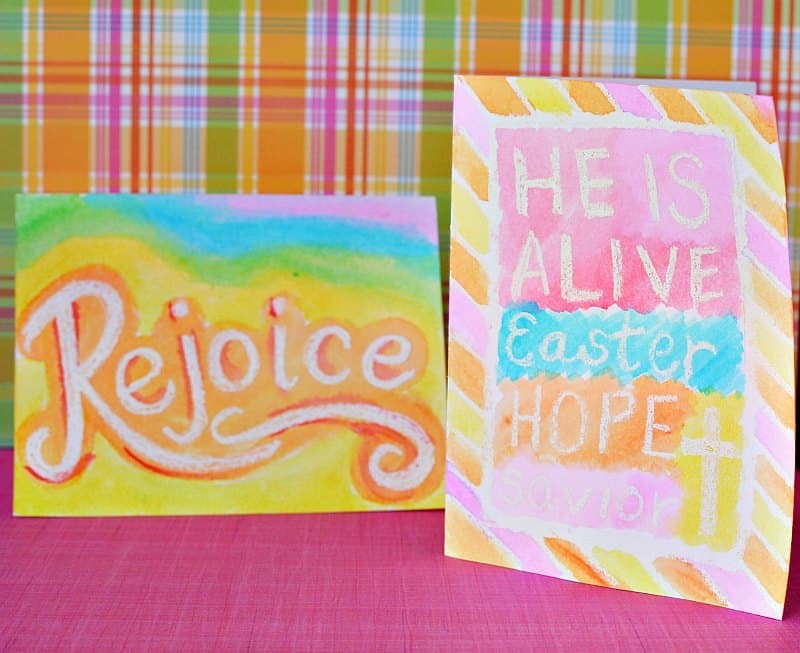 Use a watered down amount of color to create fun pastels. Brush right over the grease pencil to reveal the image and words. Set aside to dry. Fold in half, write your message inside, place into your envelope and send to a friend or give away. 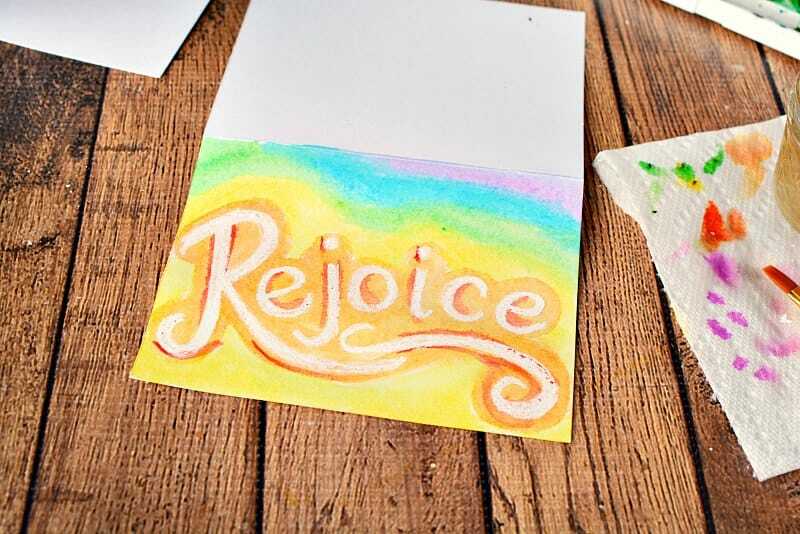 You can also go back in, after the water color has dried and add additional color (see the red on Rejoice) or add some details with markers/sharpies. 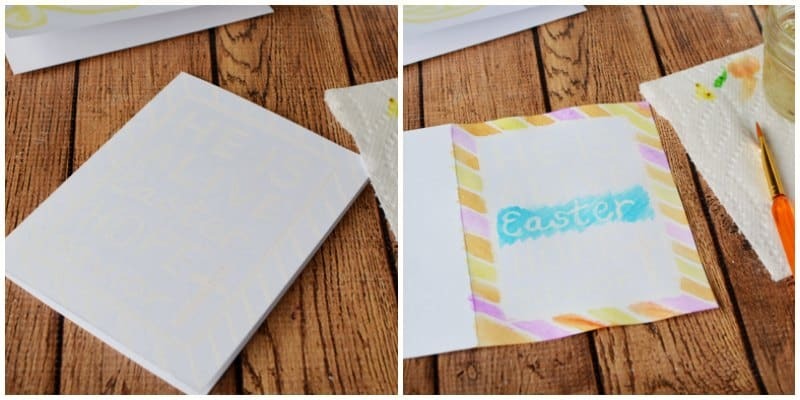 Put Easter cards in to envelopes (see how to make homemade envelopes!) and hand out or mail to your friends and family. I love how beautiful these cards turned out! Would a white crayon work in lieu of a china marker or grease pencil? I think so! We haven’t used a crayon. What an eggcellent idea for Easter! I’m definitely going to keep this idea reserved for my Easter greetings this year. Speaking of which, I really need to jump on this soon! 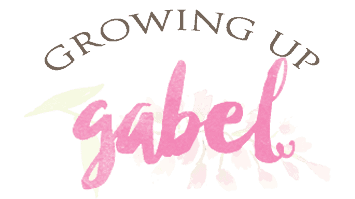 You’re invited to visit my latest edition of #AprilA2Z Art Sketching Through the Alphabet! 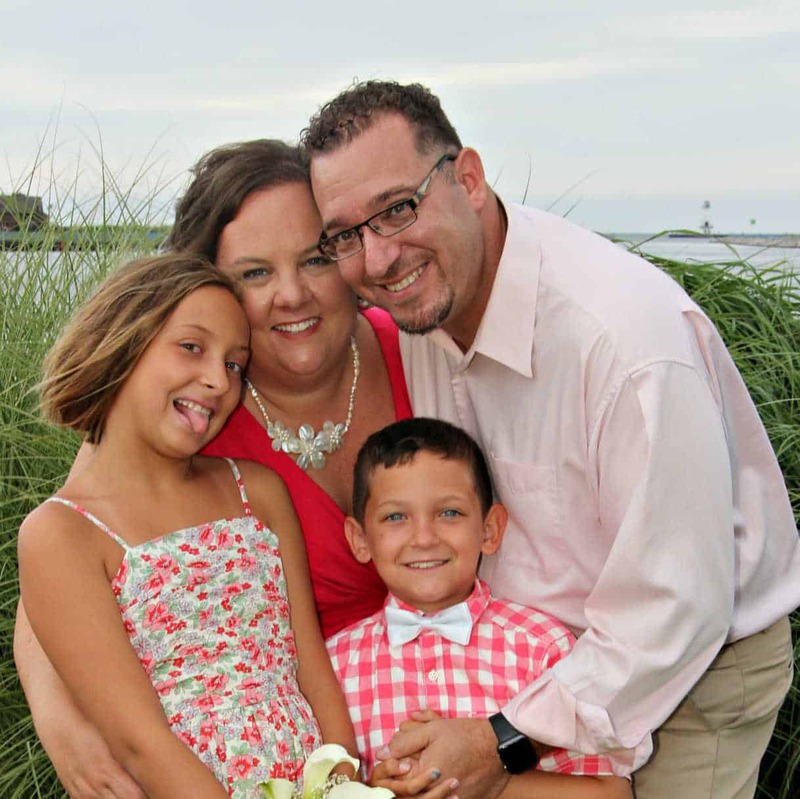 Visiting from the Create with Joy linkup! I love your watercolor cards! So cute! Can’t wait to try this with my grandkids.